The Belarusian, 27, has not played since last year's French Open in May. and gave birth to son Leo in December. 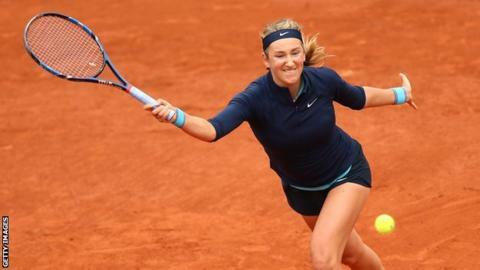 Wimbledon starts on 3 July, and two-time Australian Open winner Azarenka said she is "ready to start competing" and plans to play in a warm-up event. "Leo kinda said he wants to see London and Wimbledon," she said.